STREET SENSE (USA) (2004). 6 wins-2 at 2, Kentucky Derby, Gr.1. Sire of 511 rnrs, 332 wnrs, 36 SW, inc. Sweet Reason (Saratoga Spinaway S., Gr.1), Hallowed Crown, Wedding Toast, Aubby K, Callback, Unlimited Budget, Tower of Texas, Politeness, Ocho Ocho Ocho, Street Babe, Castaway, Cigar Street, Fleet Street, Ice Cream Silence, Motor City, Sensible Lady, Cosmic Storm, Street Prancer, Taketheodds, etc. Sire of the dams of Doc John, etc. Sharp Turn (f. by Street Sense). 5 wins. See below. Rock Speed (g. by Fastnet Rock). 5 wins from 1200m to 1600m, A$78,780, to 2014-15, 2d TRC Race & Raise for Your Club H., 3d TTC TRC Race & Raise H.
Sid the Sloth (g. by Northern Meteor). 2 wins at 1150m, 1350m to 2014-15, 2d TTC Cascade Draught P., Star Bar Cafe & Hotel H., 3d TTC Access Locksmith H.
DANDIFY (Danehill). 6 wins-2 at 2-from 1100m to 2050m, A$752,020, Moonee Valley Oaks, Gr.2, STC Peter Pan S., Gr.2, Gosford Classic, L, Gosford RC Belle of the Turf S., L, AJC Renaissance Sydney Hotel 2YO P.H., STC Ingham Love'Em 2YO H., 2d STC Gloaming S., Gr.2, VRC Vanity S., Gr.3, AJC Angst H., L, SAJC Widden Stud S., L, AJC San Miguel Super Dry 2YO H., 3d BTC Doomben Roses S., L, STC Policylink Ltd 2YO H., AJC Commissionaire H., 4th VRC AV Kewney S., Gr.2, VATC Angus Armanasco S., Gr.2. Producer. MANNER HILL (Danehill). 6 wins from 1100m to 2400m, A$364,310, AJC Craven P., Gr.3, STC NE Manion Cup, Gr.3, VRC Elms H., STC Giddy-Up Day H., New Idea Marquee H., 2d VATC Schweppes Cup, L, VRC Rowland Sodexho P., AJC Goose Boy H., Blundstone P., Travel Pty Ltd H., 3d VRC Bobbie Lewis H., Gr.3, STC Canterbury Cup, Gr.3, Parramatta Cup, L, 4th AJC Queen Elizabeth S., Gr.1, STC Hill S., Gr.2. Sire. Roman Manner. 6 wins-1 at 2-from 1200m to 1850m, R438,232, to 2015 in South Africa and Mauritius, Mauritius Derby, Kenilworth Soccer 6 H., 2d Kenilworth Official J&B Met After Party H., 3d Mauritius Derby Trial Cup, Mauritius Guineas. Tummler. 4 wins-1 at 2-to 1400m, A$159,010, AJC Moet & Chandon 2YO H., MRC Idolou H., STC Australian Ladies Variety Association H., WATC Chancery Star H., 2d AJC Dr Desmond Andrew Singh Memorial 2YO H., AIF 2YO H., WATC BMW 6 Series H., Jeff Mouritz Gas & Air H., Surtee H., British Steel H., 3d STC Inghams Love'em H., WATC Mr Geraldton H.
Sinology. 4 wins from 1000m to 1600m, AJC Cabra Vale Diggers Club Members H., 2d STC Emerald Press H., 3d MVRC Carlton Draught H., 4th VATC Veuve Clicquot S., L.
Top Light. 4 wins from 1400m to 1650m, HK$3,135,885, HKJC Jasmine H., Arsenal H., Fo Tan H., 2d HKJC Co-Tack H., Police Cup H., Chinese Recreation Club Challenge Cup, To Fung Shan H., Kwong Wah H., Top Grade H., 3d HKJC Tai Hang H., Darwin H., Granville H.
Tobique (Redoute's Choice). 3 wins from 1100m to 1600m, A$201,250, AJC TAB Big 6 Mega Jackpot H., Canberra Guineas, STC Bradcorp H., 2d STC Neville Sellwood S., L, Group One Club H., 4th AJC Randwick Guineas, Gr.1. Aghamore. 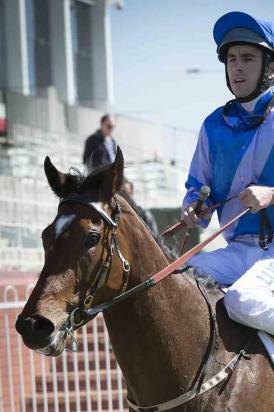 8 wins to 1350m, A$175,295, to 2014-15, BRC Gallopers $1 Membership H., ATC Tab.com.au H.
MANNERISM (Amyntor). 13 wins. See above. Lady's Way (Majuscule). 9 wins-1 at 2-from 1200m to 1600m, A$190,292, MVRC Christmas Cake H., Home Hardware H., VATC Blink Bonny H., 2d STC Queen of the Turf S., Gr.3, AJC Emancipation S., L, 3d MVRC WH Stocks S., Gr.3. Producer. Irish Squire (Tirol). 4 wins to 1400m, 2d VATC Galway H., NQAS North Queensland P., 3d VATC Debutant S., L.
Race Record: 16 Starts 5-1-2 A$76,667. 5 wins at 1200m, 1400m, A$76,667, WATC PR AFL Grand Final Day Packages H., Perthracing.com.au H., Twitter.com Rwwa Thor H., Perth Ice Works H., 3d WATC Noranda Tennis Club H., Amelia Park H.